One such brand I recently came across is Aura Vedic and I tried their Anti Blemish Skin Mask! Auravedic Products are made from natural ingredients and they have number of options in Skin Care, Body Care and Hair Care Products. I am really impressed with their quality and variety. The product today I am writing about is meant to be a Natural Acne Treatment, specially meant for Oily and acne prone skin. It contains Neem,Tea Tree and Basil which are particularly very good to target oily and acne prone skin. It is free from Parabens, Paraffin and harmful chemicals. Smells like a freshly made Ayurvedic product, mixture of Neem and Tea tree can be smelled. Products are available on their website http://www.auravedic.com/in/ as well as on Amazon. Firstly Ready To Use face mask has made life so much easier. You can take it on a travel. This one comes in a nice sturdy quality tub with the cover lid and then the main Cap, there will be no chances of spillage. The Brand seems to work really nicely on their packaging which definitely makes products look more classy and attractive! It says this face mask is a great way to clarify pores and deep cleanse excess oil & impurities from the skin. The ingredients works on the acne causing bacteria. Just apply on a freshly washed face and leave it for around 15-20 mins and wash it off with normal water. I personally never use hot water on my face. The consistency of the face mask is really smooth and spreads very evenly on the damp skin. It is supposed to lighten the blemish marks, but I would not say it did exactly the same. I just found my skin more clean and bright overall. It felt super clean after every usage. I have almost consumed whole tub now and it has not broke me out at all. So, quality wise and ingredients wise it is really amazing. But as a matter of fact it is not strictly anti blemish!! 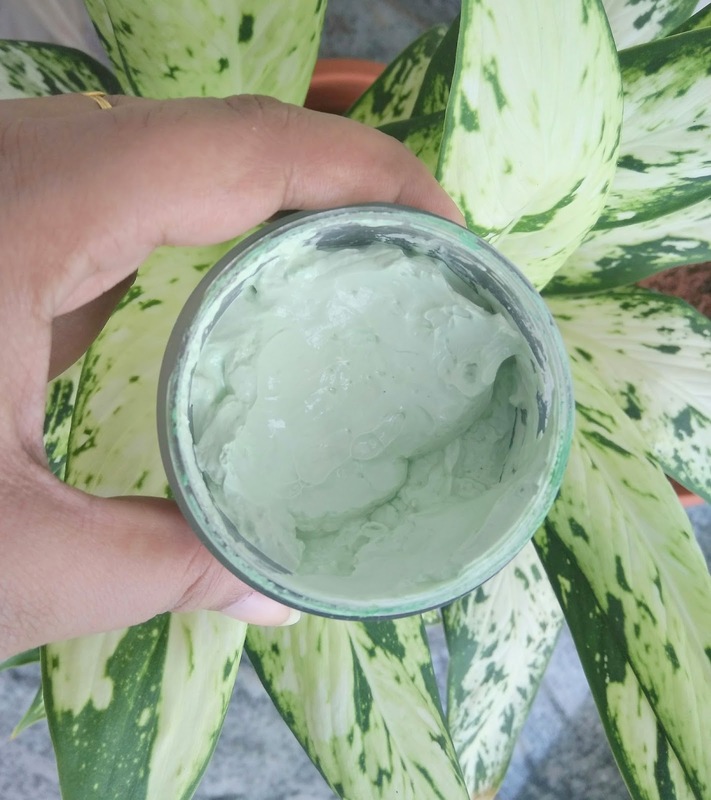 It is a good face mask for removing impurities, dirt and excess oil from the skin. I have an oily skin and it worked pretty good for me in controlling excess oil from the skin. The quantity you are getting is quite good and enough. I would say it is a pretty good basic daily use kind of face mask, which is gentle on skin and make you feel clean.